Home / _Movies / Movies / News / Shazam / Shazam-2019 / Zachary-Levi / Shazam Star Zachary Levi Thanks Fans Says He'll Be in Gym "Forever"
Shazam Star Zachary Levi Thanks Fans Says He'll Be in Gym "Forever"
Zachary Levi is cast as the lead in Shazam movie and he's "humbled" to bring Captain Marvel to life. 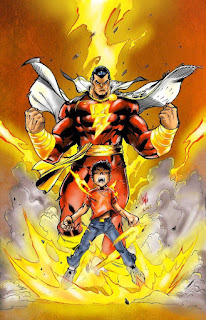 In the comics, a young boy named Billy Batson transforms into the adult superhero named Shazam when he says the name. It's the acronym of six "immortal elders" and shares attributes of each. Solomon for wisdom, Hercules for strength, Atlas for stamina, Zeus for power, Achilles for courage, and Mercury for speed. He can also fly and control lightning. 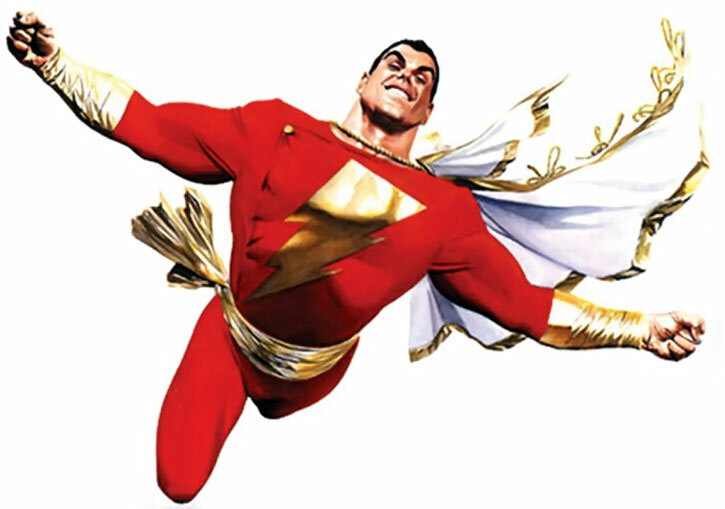 Shazam was created for Fawcett Comics by C. C. Beck and Bill Parker in 1939 and was originally known as Captain Marvel. The comic character was a sensation. Captain Marvel comics outsold all others and Captain Marvel Adventures sold fourteen million copies in 1944. Because of the Marvel superhero Captain Marvel, and the similarity of the character to Superman, they got sued. Marvel and DC both took turns suing for trademark infringement. In 2011, the character was finally renamed Shazam by DC and brought into comic book continuity. Over the weekend Levi posted to his personal Instagram account and shared fan art of him as Shazam by artist Boss Logic. "Honored and greatly humbled to be a part of the #dcuniverse by bringing the original Captain Marvel to life," Levi said. "I am beside myself with gratitude, not only for this opportunity, but also the incredible outpouring of love and support from so many of you out there in the world. Now if you’ll excuse me, I’ll be in the gym for the rest of forever. 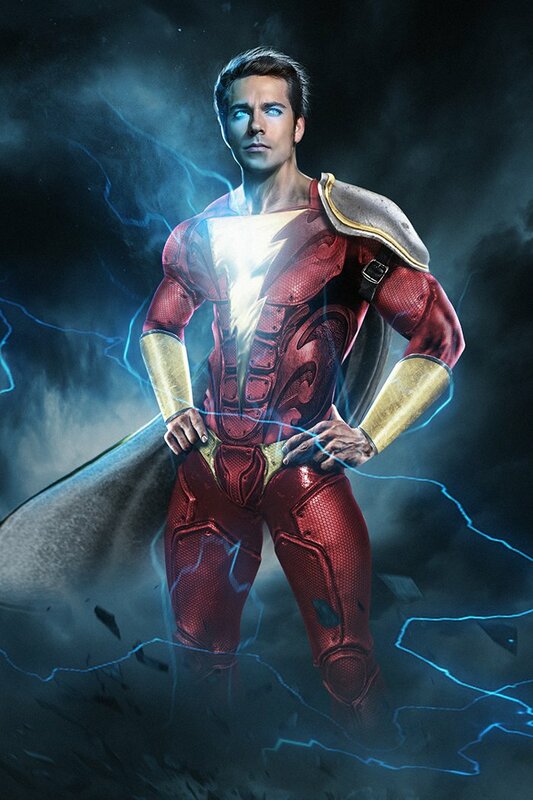 🙏 (amazingly cool art courtesy of @bosslogic) #Shazam"
Levi is best known for comedic roles like his long-running series Chuck and movies like Alvin and the Chipmunks: The Squeakquel, and Tangled. Fans have expressed concern that he's not muscular enough to play the hulking superhero. 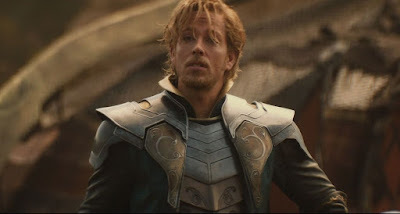 It sounds like he's taken it to heart and plans to bulk up for the role. 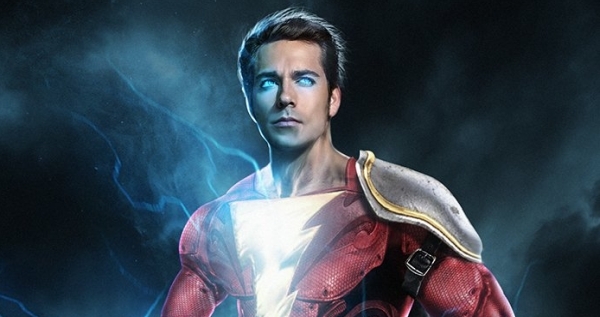 This is the first live-action movie with Shazam. But there was a 12-part serial of Captain Marvel produced in 1941. Adventures of Captain Marvel starred Tom Tyler in the title role and Frank Coghlan, Jr. as Billy Batson. David F. Sandberg is directing Shazam! for New Line Cinema from a screenplay by Henry Gayden and Darren Lemke. While a release date hasn't been announced it's expected to start shooting in 2018 for a 2019 release. It will be the ninth movie in the DC movie universe. Dwayne Johnson is set to play the Shazam villain Black Adam in a untitled solo film. Are You Happy Zachari Levi is Playing Shazam? What do you think of Zachary Levi's casting? Are you looking forward to Shazam? It will definitely be a better role for him than any Chipmunk movie. I hope TV's Michael Gray gets a cameo.